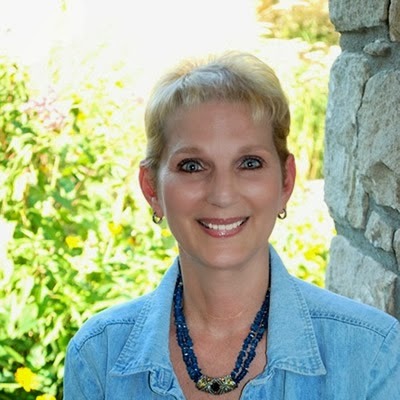 Synopsis (from Publisher): Robin Lee Hatcher draws on her own personal pain to illustrate God’s goodness. A Promise Kept is by far one of the most touching books that tugged at my heartstrings the most this season. As many know, The Indigo Quill has been on a short hiatus because I myself just experienced a heartbreaking divorce. While everything became finalized just last week, I had begun reading this book. Tears came with the pages as I feel the confusion and pain right along with the main character Allison. The realization that God is what you hold onto, especially when God is the only constant while your world is crashing and changing. However, I can also see how He is working through my life even through the midst of the uncertainty. Although I do not see my situation having quite the same outcome as Allison's, I could feel what she was feeling, and experience many of the same things she was experiencing. We walk through Allison's journey of realizing that sometimes your faith in God is what's important, and even when you can't see it, His plan is perfect. In the beginning we experience with her the feelings of despair, loneliness, and abandonment. She wasn't necessarily losing faith in God, but she felt confused and more than anything, defeated. We go through the stages of grief with her, even catching herself experiencing the human thoughts of momentarily finding attraction in another man. Then she finally breaks a barrier and begins to count her blessings. As we continue through the story, we see how God sometimes breaks things down to create something new, bigger, and better. Sometimes He starts over to recreate perfection out of the messiness that we cause in our lives. Afterwords, you see the product and perspective of Heaven in a way you may not have ever experienced before. I do not have many complaints about this book. One of things I caught were that it was more than implied that guys overlooked Emma just because she wasn't pretty. Were ALL the guys in her life honestly that shallow? With as godly and talented and brilliant as she was, it's a bit discouraging that her attributes were overlooked her entire life just because of what was on the outside. This seems slightly unrealistic and honestly, a bit depressing!! The one other thing I noticed is that often times Miss Hatcher was very vague and lacked a certain amount of descriptives. For instance, on page 85 it talks about how "The company Meredith worked for had sent her back to Boise to oversee an important project," what company? What project? Why is it important? How convenient that it's over all the Holidays? I know it's difficult for an author to decipher between what's just "fluff" and what is important, but the vagueness of passages like these removed me from the story and felt unnatural. Those are my only two complaints. This is such a beautiful book. Everyone should read it. My heart is very much attached to this book on such a deep level, and I know so many of you have experienced or are experiencing the loss and heartbreak of a failed marriage. I urge you to read this. Be encouraged. Be reassured about God's love for you and His perfect plans for you. Be blessed. Please do yourself a favor and pick this book up for yourself and a friend. "A faith that can't be tested can't be trusted." "...while the Bible said God hated divorce, He did not hate the divorced." "...feelings aren't right or wrong. They're just feelings. They just are. What matters is what you do in response to those feelings. Let God do His work in your heart. He will turn things to good in your life when you follow Him. Even divorce." 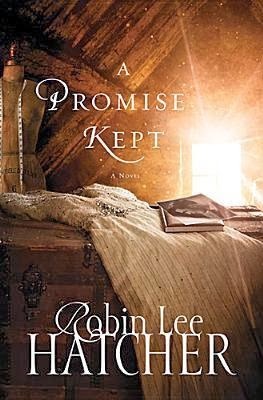 Robin Lee Hatcher will be hosting a Facebook party on Thursday, February 6, 2014 at 8:00 PM EST to chat with readers about A Promise Kept, give away copies of the book, and reveal the grand prize winner of a social media giveaway. More details are available on her Facebook Page! There is also a giveaway for a KINDLE FIRE HDX! Enter to win and RSVP to the party!! Enter Today | 1/20 - 2/6!